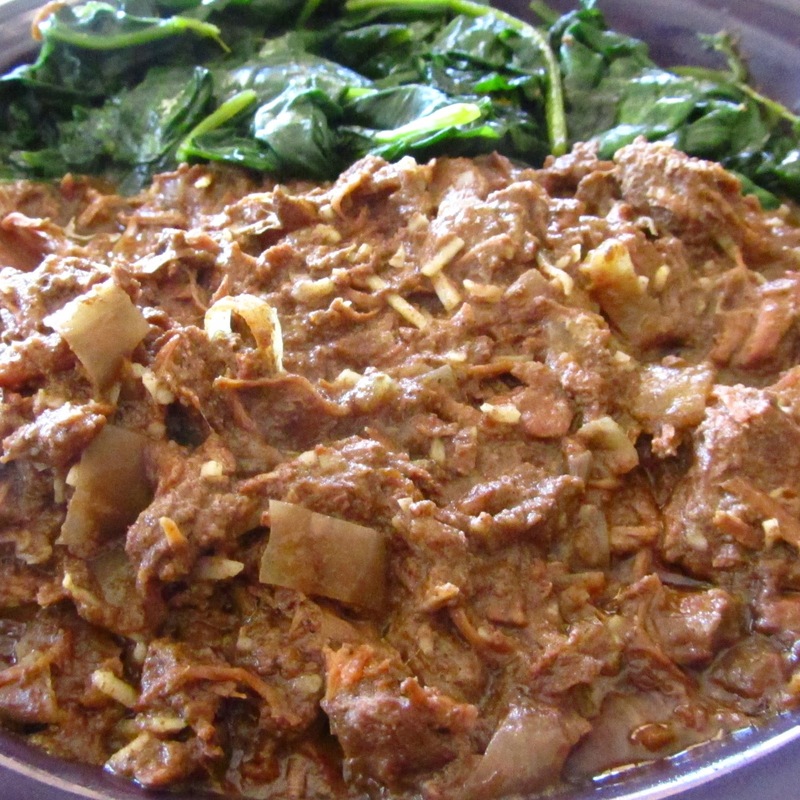 Rogan Josh is an Indian Dish traditionally served with lamb. I just happened to have a small stockpile of kangaroo rumps that I ordered from Marx Foods. They only ship in bulk. I have a big freezer because I have the dream that one day I will actually go hunting for deer or javelina and I'll need some place to put it. But in the meantime, it's easier to sit at my computer and order exotic meats in bulk and have them shipped overnight. Kangaroo is extremely lean so you're going to need to add some fat. I used lamb tallow, but coconut oil would also work. Brown the kangaroo in a cast iron skillet using 1 Tbsp of fat. I did it in 3 batches (1 tsp of fat at a time) because it was alot of freaking meat. Put meat in crock pot with all the other ingredients, except the shredded, dessicated, unsweetened coconut. Cook on low for 6 hours and add the coconut if you need to thicken up the stew. Kat, this is super interesting! Can you describe the flavor of Kangaroo! Does it taste like anything else or is it pretty distinct? It's pretty distinct. It's rich and a bit gamey.